You’ve been around here long enough to know that I’m a web & brand designer for do-good, feel-good businesses™… but have you ever wondered what I really mean when I say that? Have you wondered whether your business qualifies under that umbrella? To me, “do-good, feel-good” is about the impact you’re trying to make. 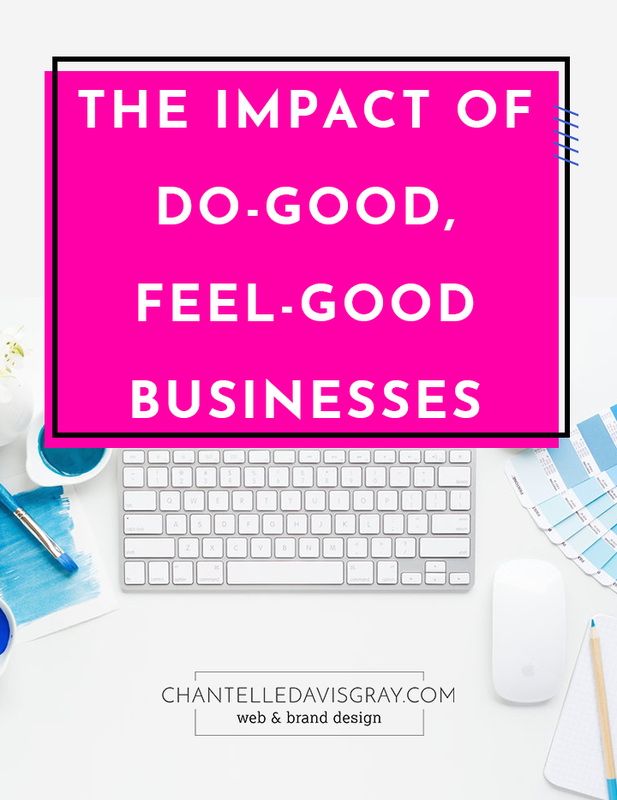 It’s not only nonprofits that “do-good"
There are so many different kinds of “feel-good” businesses! From yoga instructors to hair salons to floral designers — if your work helps your clients feel good, on the inside or out, then you qualify as a "feel-good" business. If you're working to make an impact in your clients' lives, you’re my people. It doesn't have to be about; it could be helping them enjoy their home, feel more confident, or make their event beautiful. And of course, there are some businesses that are both do-good AND feel-good! The biggest connecting factor in all of the clients I support, is their hearts. The passion they bring creates a ripple effect from their clients to their clients' families, to their communities, and out into the world. And I freaking love that.